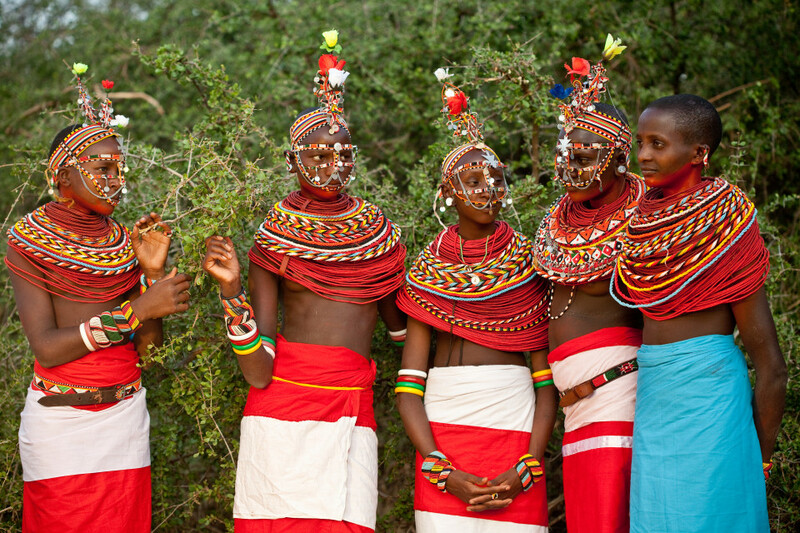 On this 10 day lodge safari you will experience the highlights of northern Tanzania and southern Kenya. You will visit the gentle giants of Tarangire National Park, the traditional Mto wa Mbu village, the 600 m deep Ngorongoro Crater filled with wild animals and the huge migration herds in the infinite grass plains of Serengeti National Park. Then heading even further west to Lake Victoria, the largest lake in Africa where you are able to witness the locals fishing in the tropical waters. 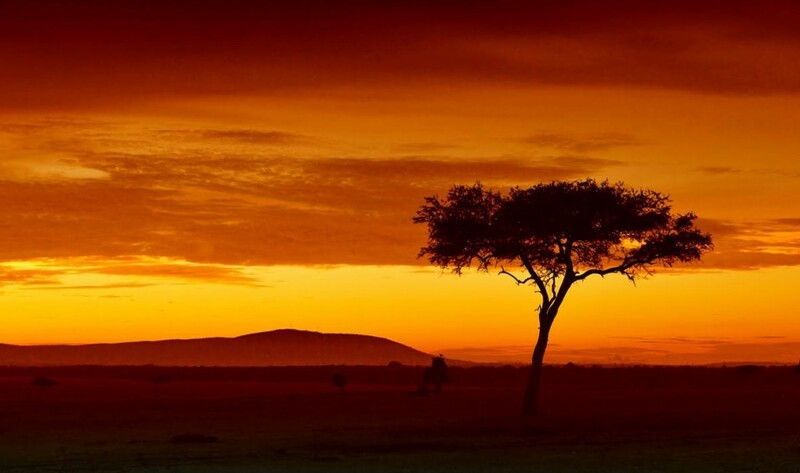 After crossing the border to Kenya, you will visit the world famous Masai Mara Game Reserve for some extensive game viewing combined with extraordinary landscapes, followed by the peaceful surrounds of Lake Nakuru also home to a large flamingo population and then ending in the lively capital of Nairobi. After breakfast you will take a short drive to the multi-cultural town of Mto wa Mbu. Here you will join a local guide who will take you through the village where you will see coffee and banana plantations, taste banana beer and visit a local school. Traditional African food will be served for lunch before you continue your journey to the green farmlands of the highlands. You will be staying at the Endoro Lodge in Karatu and if time permits, you can join a coffee plantation walk in the afternoon (optional). Waking up early to the mist covering the forest below, you will make your way to the Ngorongoro Crater before you descend down the steep path that leads along the crater's 600 m deep walls. The forested walls are home to monkeys, baboons, some huge tuskers and black rhinos. You might also be very lucky to spot an elusive leopard. 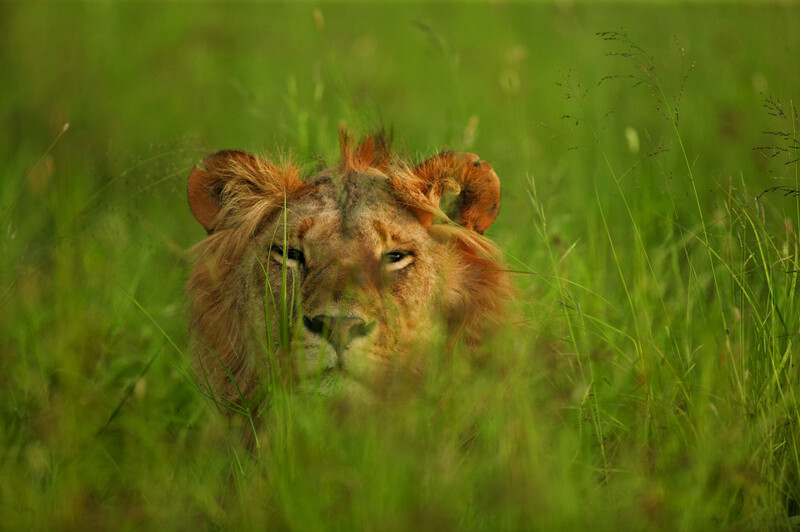 Once on the grassy plains you will see wildebeests, zebras and buffaloes followed by a selection of predators such as lions, cheetahs and spotted hyenas. 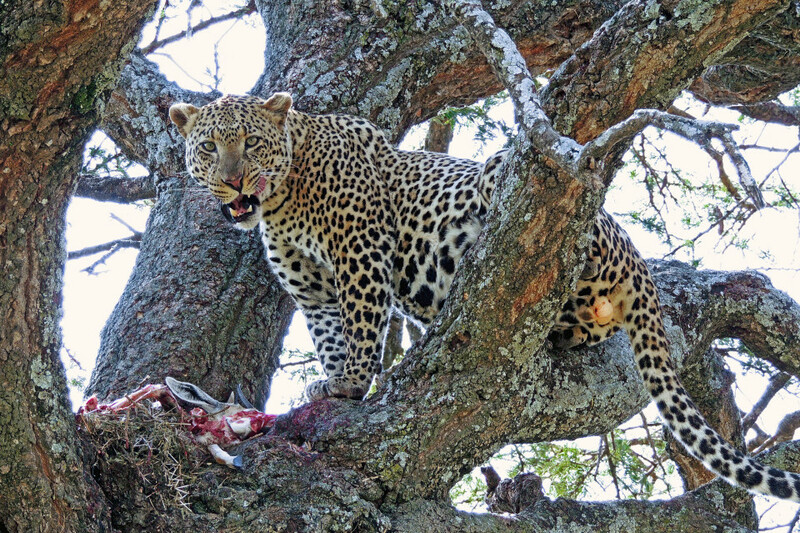 You will have lunch at a picnic spot before you take on the steep ascent and drive towards the plains of the Serengeti in the early afternoon. 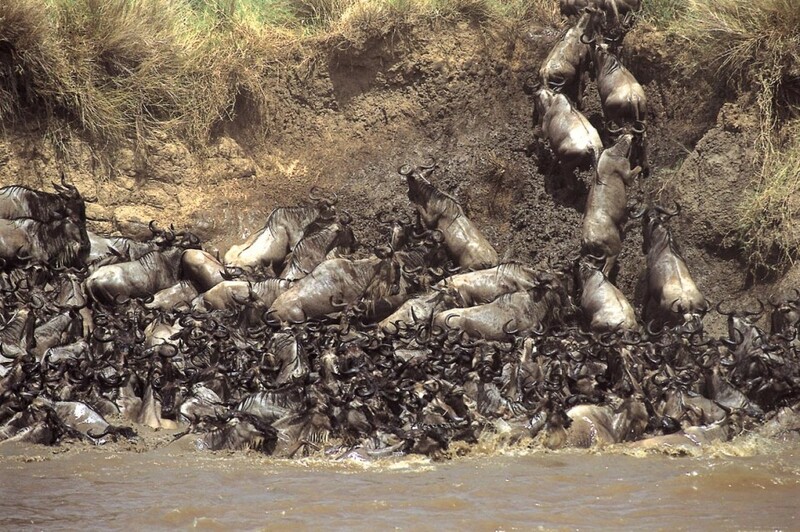 It is here where the world's biggest animal migration takes place. In an endless cycle of birth and death, wildebeests and zebras trek from here to the Masai Mara and back again in search of greener pastures. You will be spending the night at the Kati Kati Tented Camp in the central Serengeti. In the coolness of the early morning you will set off on a game drive. Warming up in the first rays of the sun, you will look for animals as they start their day of grazing. A hearty breakfast will be awaiting you when you return a few hours later. Those wanting to experience the Serengeti from a different angle can book a hot-air balloon ride and celebrate life with a champagne breakfast afterwards (optional and to be booked in advance). You can also visit the Serengeti Visitor Centre to learn more about the research that is being done by the Frankfurt Zoological Society (advanced notification necessary). In the afternoon you will head out on another game drive before you return to the Kati Kati Tented Camp where you will spend a second night. Another early start awaits you and as you leave the Serengeti and drive towards Lake Victoria, you might be able to spot animals you haven’t seen over the past two days. After leaving the park, the journey continues westwards to Lake Victoria – the largest lake in Africa and the second largest in the world. The lake with a size of 68,000 km² also provides food (fish) and water to millions of people in Uganda, Kenya and Tanzania. Here, away from the masses, you will be able experience the daily life of the locals – something unique and not often seen on the usual tourist routes. You will overnight at the Speke Bay Lodge. TYou will spend the following two days on extensive game drives in the Masai Mara Game Reserve and you will visit the Mara River which is a major hurdle in the yearly migration. On their trek for fresh grass, herds of wildebeests and zebras cross the river with crocodiles luring below the surface. If the time is right, you will bear witness to a gruesome spectacle as the crocodiles have a feast. But the Mara is also home to the 'Big Five' – lion, elephant, buffalo, rhino and leopard as well as cheetahs, giraffes, warthogs, and hyenas. You will spend two nights at the Mara Ashnil Tented Camp. After breakfast you head northeast towards the Lake Nakuru National Park. 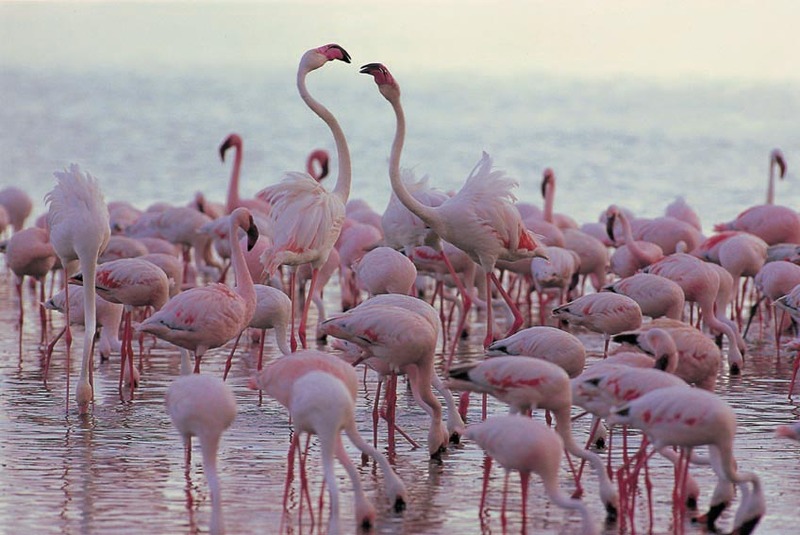 Dominated by a shallow alkaline lake, the park is famous for huge pink flocks of flamingos feeding on the blue-green algae in the lake. Furthermore, the park was declared a rhino sanctuary and is home to both white and black rhinos. But apart from that, there are also monkeys, baboons, pythons, common and Defassa waterbucks, Rothschild's giraffes, leopards and lions as well as more than 450 other species of birds (migrant and resident) to be seen. Tonight you will stay at the Flamingo Hill Camp. After breakfast you will leave the peaceful surrounds of Lake Nakuru to travel to the lively capital of Nairobi where you will arrive by the early afternoon. Depending on your travel plans, your guide will take you to the airport or a hotel of your choice. - In general European citizens can apply for a Tanzanian and Kenyan Visa upon arrival at the respective airport or border post. - The safari starts in Tanzania and ends in Kenya, a yellow fever region, which is why we recommend a yellow fever vaccination. 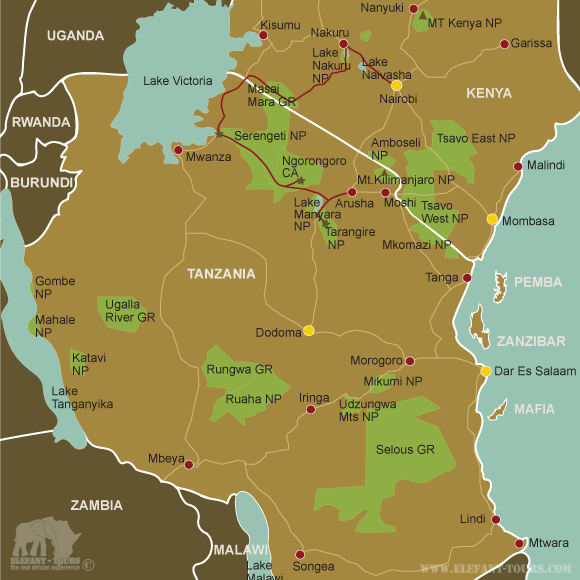 - Tanzania and Kenya are also situated within a malaria area, wherefore we would recommend some precautions. Please speak to your doctor or travel clinic about the different prophylaxis and their effects and side effects. - Although both countries does not require proof of immunization against Tetanus, Diphtheria, Polio and Hepatitis A & B, we nevertheless recommend those vaccinations.